December 31. This is the day that the ink-stained wretches of newspapers and their big haired counterparts on television list their biggest stories of the year. Of course, the tsunami a half a world away from Bill and me here in New Hampshire is the biggest story, over 100,000 dead and counting. We almost pity the poor pundits who filed their end of year stories and settled down to eggnog and New Year’s Eve plans and then had to rush back and add the tsunami to their list. Well, here in the Ten Ring we must follow traditions. Here is our list of the three biggest stories of 2004 for gun nuts. The election is the biggest story. We gun people dodged a big one here, folks. As much as Denise as a former Democrat hate to admit, a Kerry victory would have been a disaster for gunowners. The election also brought new gun-friendly Congress Critters to Washington, D.C. Had the election turned out differently, the gun-banners would have poured out of the woodwork. We would already be hearing about plans to introduce an expanded assault weapons ban, limits on ammunition types, and other such folderol. The second biggest story must be the expiration in September of the assault weapon ban. This ban, as gunnies know, was useless as a practical way to reduce gun violence or make guns less lethal (c’mon people guns are by definition a lethal weapon, might as well make knives less pointy). The ban did nothing at all except annoy gun people. It was a way to begin a slippery slope. Someone in gun-grabber territory must have thought, “Hmmm…we can demonize one class of firearms and then move to the next class and pretty soon guns in private hands will all be muskets.” Good riddance to the ban and its concomitant ban of normal capacity magazines (then called high-cap mags). Finally, the rank and file of the NRA held that organization to their word and made sure it did not trade a renewed assault weapons ban for the much-desired PLCFA. So these are our three stories. I am sure we short-changed others and one might argue with the order of our list, but there it is. We think 2004 was a good year for those of us who own guns. We think that 2005 has the potential to be even better. We predict the PLCFA will be back and will pass. We gun people need this bill. If gun makers close their factories, where will we get our new guns? There is also an opportunity to roll back some gun laws still on the books. So let’s raise a toast to 2004 and then roll up our sleeves and get to work in 2005. From Denise and Bill "Yosemite Sam"
Bill and I are members in good standing with the famous or notorious NRA depending on who one talks to. In previous posts I mentioned that I am a recovering liberal and still have some leanings to the left. Nothing dramatic mind you. I think that black people have rights, that gays should not face discrimination, that there are some people who need society’s help. It is all a matter of degree. Most people view gunnies with a jaundiced eye. If we like to shoot guns, we must want to shoot black people, gay people, or people who need a hand. Nothing is further from the truth. I grew up with that message and with guns at the same time. I internalized both messages--don’t take my guns away, but also that gun people were redneck crackers with bad attitudes. So there I was young and naïve with a love of guns and thinking that the NRA and the KKK shared the same bedsheets. If you have seen Michael (shave for God’s sake) Moore’s “Bowling for Columbine,” you might remember a little cartoon featuring bullets as characters that made just that comparison. I started doing some research and I found that the NRA is fanatical in its support of guns, but tends to avoid other political issues. I learned that the NRA has some members one might call rednecks, but has gay members, black members, and members in wheelchairs. At the same time, I found that the anti-gun people were the biggest liars. They were the ones that made the NRA seem like Klan Korner. They were the ones who demonized it. They were the ones that made wild claims and funded studies that had about as much truth in them as, well, Michael Moore. With that conclusion in mind, I joined the NRA and Bill soon followed. The NRA can thank the Brady Campaign for bringing two members to them. Before some of the absolutists who think the NRA has compromised our gun rights jump on me with both feet, I am a dyed-in-the-wool gun nut and proud of it. The NRA has made compromises and political deals that I don’t always agree with. I know this, but I also know that they are the 800 pound gorilla in American gun politics. Anti-gun people demonize the NRA but ignore fine no-compromise groups like Gun Owners of America and may never have heard of Jews for the Preservation of Firearms Ownership. Because of this, Bill and I do our part to make sure that the NRA remains strong and firmly under the control of its members. Casual owners--these are people who bought a revolver on a whim or inherited a gun from Granddad and have not shot it in years and barely remember they have a gun. Of course there are shades of gray between each of these categories of gun owners. Bill and I fall between the Constitutional absolutist and the Neo-absolutist. I believe that there can be some reasonable restrictions to firearm ownership. The Second Amendment calls for "A well-regulated militia..." and well-regulated can mean that the militia is well-trained and there are some guidelines to follow. The devil is in who defines restrictions. Some would restrict to the Fuddite level. Bill is more absolutist than I am. He sees a slippery slope behind every regulation. The hell of it is, he is right. Look at San Francisco. Some of the city Supervisors are trying to pass a complete ban on handgun ownership and serious restrictions on other firearms. Democrats have been trying to shake the anti-gun label for several years now because they know it hurts them politically. Now the almost stereotypically Democrat city in America waves the flag and says, "See, we've been lying, we really do want to take your guns away!" And some people call the Republicans the stupid party. Indeed. This is a new blog, well duh. There are two of us trying this thing out, this form of self-expression. I should make an introduction and the best way to do that is the famous journalist credo of who, what, where, why, and when. We are not finished with blog rolls, pictures and other things, so give us time and we will see what it is like in a week. Well, first there is me. My name is Denise and I am rapidly moving into middle age--hell, I'm well past the threshold. In fact, my fiftieth birthday is staring me in the face and I am not happy about it at all. Then there is Bill. He is ten years younger than me. His fortieth birthday is staring him in the face and he is only a little less perturbed than me. Age in and of itself does not bother either of us. For me, it is the closing down of options. I feel I can't just pick up stakes and move to the next thing. The next job, city, apartment. I've always been restless--now I have to accrue years for a pension or I will end up fighting my cat for his dry cat food. Speaking for Bill, he is just now feeling the closing down of options. Now, don't get us wrong. We have good lives. What sets this blog apart? Well, for one thing we will be talking a lot about firearms. We collect, shoot, repair, and do everything except make guns. We even do bullseye shooting and love it when our bullets hit the ten ring. At this point, you are thinking, not another gun blog. Well this is not just another gun blog. I am a recovering liberal. The Democrats drove me out of the party with their stands on gun control. Bill is and always was an unrepentant member of the Vast Right Wing Conspiracy. Talk about dating problems when we first met. I saw his copies of Rush Limbaugh's books and about had an attack of the vapors. He listened to my rants about the eviiillllll Republicans and wondered what he was getting himself into. So, you would think that Bill would be the gun nut and I would have been a charter member of the Million Mommie March. Bet you were thinking that, huh? Nope, I fired my first gun when I was eight years old, got my first rifle when I turned thirteen and never turned back. Bill shot guns in Boy Scouts and then in the Air Force, but it bothered him that I kept a loaded 9mm in the nightstand. He thought I might shoot him in the dark night. I turned him to the light and he is as avid about firearm issues as I am. 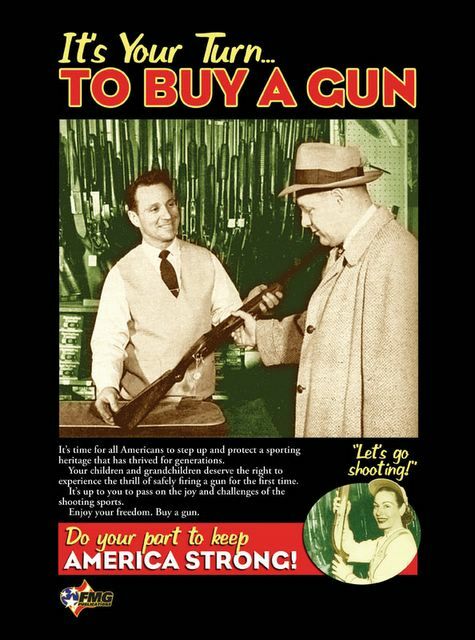 So that is why we think we are different from other gun blogs--a liberal teaching a conservative how to love guns. Who'd have thunk it? We both live in New Hampshire, although we're originally from the West. I met Bill in the great Lone Star State of Texas. We moved here for my job. We love New Hampshire (except in the winter), but we want to get back to Texas just as soon as we can. We read blogs a lot and thought why not throw our hats in the ring. I like to write and Bill turns a mean phrase. Maybe you might like what we write. Maybe not. Such is life. When will the blog end? Who knows. I can't promise we are in this for the long haul. We have seen bloggers come and go and we hope to post often, but we offer no guarantees. Take us or leave us. So that is us. Hope to see you later.